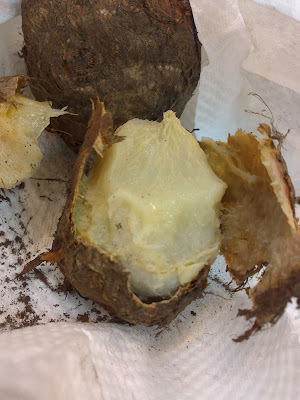 I love taro but it seems too bothersome to cook because it is similar to a potato where you have to peel off the skin. 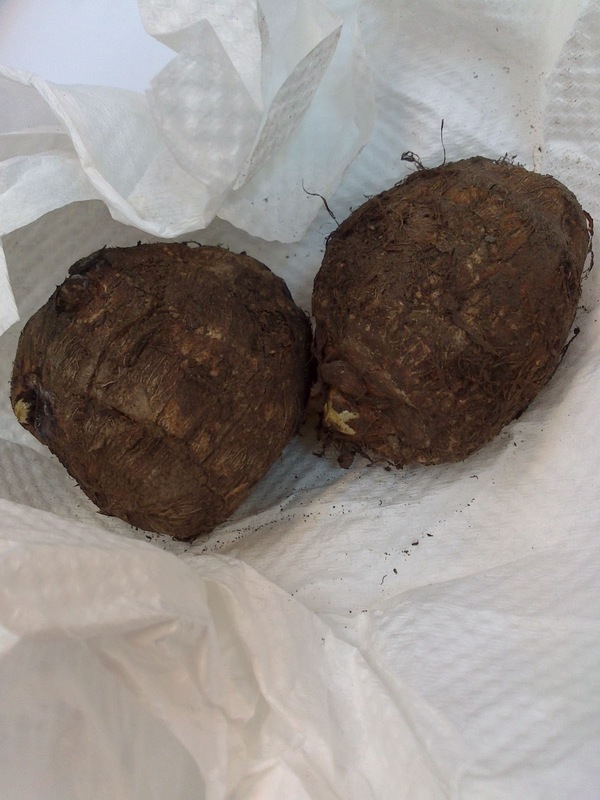 What's worse is that the Taro skin is muddy and uneven. Just for fun I microwaved dry it to see if it was a possible solution. After microwaving it for 6 minutes, the results were quite good, the skin on the outside became dry and separated from the taro and it was easy to peel off. 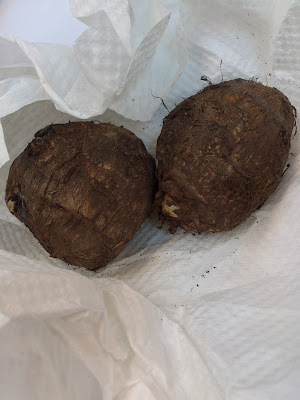 However some parts of the taro were really dry, but the moist part was edible. I ate them plain, so there was not much taste but the texture was quite viscous. For more flavouring, I am just going to add salt next time and maybe I will try turn it over halfway through and then microwave it again to see if it helps reduce the dryness.